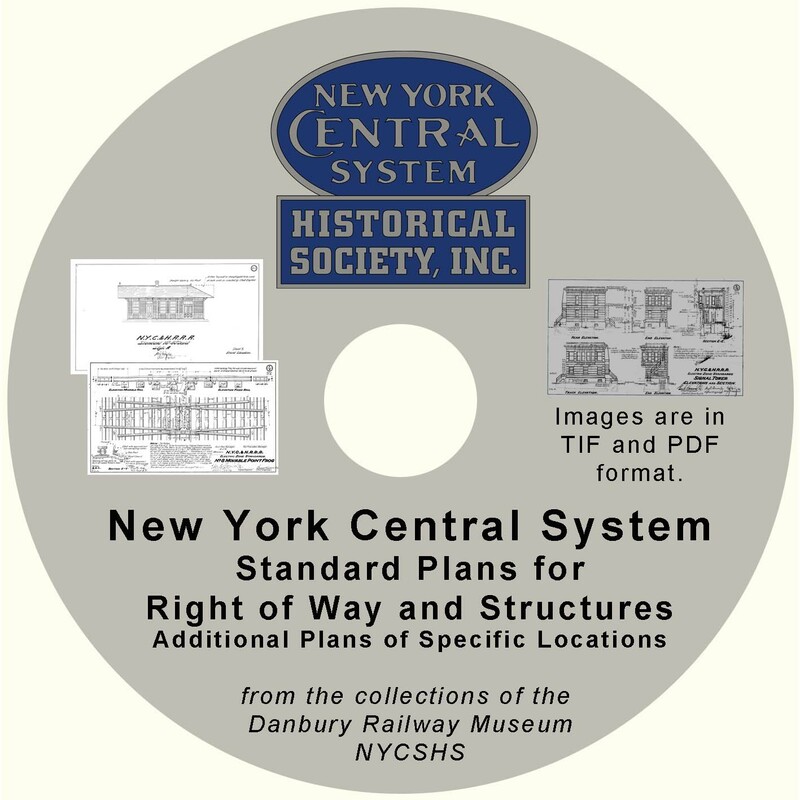 This DVD has been developed using many of the NYCSHS & Danbury Railway Museum structure drawings. This is an all new set of drawings replacing the old DVD. The NYCSHS has assembled an array of technical drawings and supporting data which rail historians and scale modelers should find of interest. This DVD covers selected engineering standards and technical guidance issued by the NYC&HR Engineering Department at the turn of the nineteenth century that remained in place for many years. Freight and passenger standard station plans as well as section house, stock pen, station fencing, and signage design are but a few of the many areas which provide a look into classic NYC engineering. Coverage of track standards and a variety of aspects of Electric Division facilities, infrastructure, and equipment are apparent in the DVD. The Society is indebted to the Danbury Railway Museum of Danbury, Connecticut for providing many of the drawing files used in the development of this DVD. Complementing the above “Lines East” drawings and information is a number of LS&MS and Lines West facilities drawings and diagrams. Specific mechanical drawings and yard diagrams of selected Ashtabula, Collinwood, Toledo, Elkhart, Englewood and other facilities from the early 1900’s into the Post War period are to be found. The DVD of 800+ files contains indices to assist the viewer effectively identify drawings and information desired. The DVDs are available in our online NYCSHS “Collinwood Shop” for $50.00 for non-members and $40.00 for NYCSHS members. Shipping is free. Ohio residents must add 8% Ohio sales tax. Go to the Collinwood Shop to order by clicking here. This entry was posted in Members Information, NYCentral Modeler, NYCSHS "Collinwood Shop" Your NYCSHS Hobby Store, NYCSHS News, Research Information. Bookmark the permalink.